The Metropolitan Transportation Authority is reminding customers that if they have lost an item on a train or bus, or at a station, they can submit a lost property claim free of charge and directly to the MTA online, by phone, or in person. There is no charge for submitting a lost property claim to the MTA's lost and found offices. 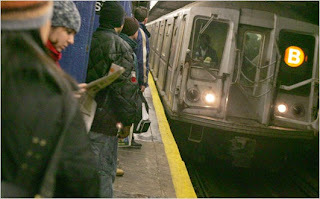 Recently, MTA customers have complained that online searches have directed them to an official-looking website, www.lostpropertynyc.com, which asks for personal information, then uses that information to generate a bill to be paid online by credit card. The website implies that it contacts the MTA on behalf of the customers seeking lost property. However, the MTA's lost and found offices do not do business with lostpropertynyc.com or any other third party company claiming to act on behalf of people who have reported lost items. The MTA's lost and found offices return lost items only to those claimants who can identify that they are the rightful owners of the property. "Anyone looking to submit a claim for lost property needs to go through the MTA's official website," said MTA Police Chief Michael Coan. "There is no charge to submit a claim to any of the MTA's lost and found units." The MTA Police Department has launched a criminal investigation into the website. Because the website is also soliciting information from taxi and airport customers, and the MTA has notified the New York City Taxi & Limousine Commission and the Port Authority of New York and New Jersey. The MTA maintains three units that serve as repositories for personal items that are left on trains and buses, or at stations. MTA New York City Transit's Lost Property Unit, located at the 34th Street-Penn Station stop on the ACE lines, handles items left on the New York City Subway, New York City Buses, and Staten Island Railway. MTA Long Island Rail Road has a lost and found office in Penn Station, and MTA Metro-North Railroad has a lost and found office at Grand Central Terminal. In 2013, the MTA's lost and found offices received 67,320 lost items, and returned 34,572 of them to their owners while fielding more than 73,000 queries about lost items from customers.